Welcome to your weekly proximity marketing news digest where we bring you some of the most intriguing location-based tech stories. As 2015 comes to a close we serve up a year-end recap and 2016 forecast. 2015 has seen retailers, both small and big, trying to innovate and differentiate in their efforts to grow in today’s highly competitive market. The way a consumer shops today is largely influenced by the emergence and growth of digital and mobile technologies; retailers have had to tune their strategies in line with the new technological trends in order to engage and win the customer at the start of their shopping journeys. According to a Timetrade’s Retail Report 2015, 85% of consumers prefer to shop at physical stores when compared to online stores. Retailers thus have to ensure that they have a blended approach that combines both online and offline channels in order to reach out to customers at various touchpoints. Stores should focus on providing customers with a cohesive experience across all channels, which is where technologies like iBeacon can prove to be very valuable. Beacons allow retailers to stitch together customer journeys in both the physical and digital worlds. Major retailers from Macy’s to Target to Tesco have invested in beacons in order to offer contextual, personalised content to customers at the right time. How Big Will Beacons be in 2016? Additionally, the Out of Home (OOH) advertising market is showing rapid expansion, with the first major deployments in Europe. Currently, Stroer is announcing plans for 50,000 deployments in Germany, with Exterion Media following suit in Holland and the UK. The holiday season is here again. With it comes retail’s busiest time of the year and an opportunity to look at how technology is affecting the retail industry now and what’s to come next year. Some high-profile 2015 predictions, including the explosive growth of beacons and widespread adoption of mobile payments spurred by Apple Pay, failed to materialize at scale. However, other trends such as social shopping and the proliferation of omnichannel options have evolved and gained traction along with the rapid adoption of mobile. I believe that we are just in the very early stages of an extensive period of change in retail tech. Retailers are only now beginning to embrace the opportunities and understand the challenges of mobile. Consumer expectations are also evolving quickly, putting tremendous pressure on retailers to engage shoppers and employees in historically unfamiliar ways. The pace of innovation and change will accelerate in 2016, and here are five of the most important trends that I feel will have a significant impact on the retail industry in the coming year. Out-of-home advertising and in-store systems, including mobile payments, will see major digital transformations in 2016. Consumers should welcome most of these innovations. But they’ll be less keen on using smart home technology. Meanwhile, the use of ad blockers will grow. Mobile payments marry the speed and ease of contactless transactions with the convenience and ubiquity of mobile phones. And the UK is a leading market, to some extent. According to the “Mobile Payments Index” from payments technology firm Adyen, 46.9% of UK online transactions on the Adyen platform took place on mobile in Q3 2015, compared with just over 30% of online transactions globally. 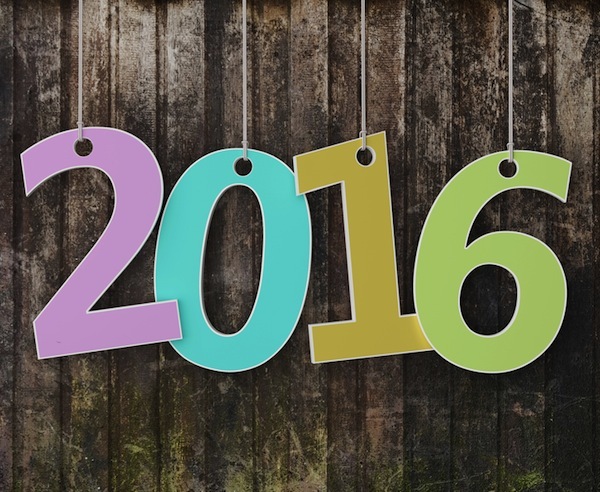 What do business owners, professionals and experts expect 2016 to hold for small business? Business News Daily got in touch to find out, and, overall, the consensus is that it will be a year ripe with opportunity, yet also teeming with new obstacles to overcome. From public policies and regulation to harnessing the newest technologies, the responses run the gamut of everything small business owners should be aware of before the ball drops in Times Square. Here are 50 key ideas, trends and predictions to keep in mind in order to make the most of 2016 for both your business and the people it serves.